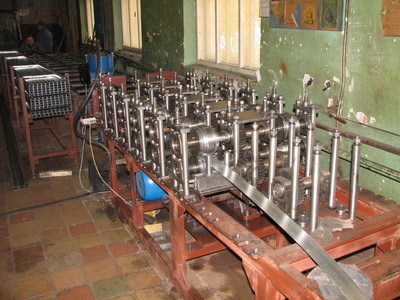 ‘Budimpeks F’ has acquired a reputation as a manufacturer of qualitative and inexpensive steel forming equipment. 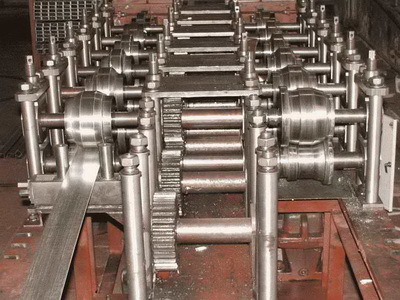 In spite of activity diversification and production of various types of equipment exactly designing and manufacturing of steel forming machines still remains our main direction. For the last 10 years we designed more than 100 types of steel forming equipment for production of more than 500 types of profiles. Pneumatic guillotine for profile cutting (for preferred length) in automatic and semiautomatic modes (non-stop mode (±1mm), cutting with stop by final switch (inductive sensor) (±1…2 мм) or by backstop (±0,5 мм)). De-coiling barrel (overhung type with actuator) for steel weight up to 4t. 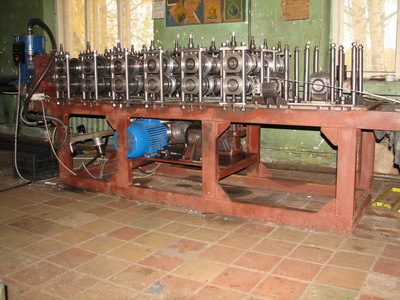 Receiving table (2 sections by 3 meters each). 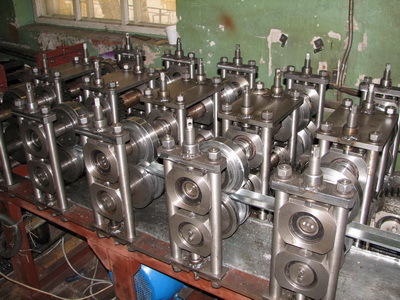 WE WILL DESIGN AN EQUIPMENT FOR MANUFACTURING OF YOUR TYPE OF PROFILE!